The Pavel Haas Quartet has been called “the world’s most exciting string quartet” (Gramophone). Since winning the Paolo Borciani competition in Italy in spring 2005, they have established themselves as one of the world’s foremost chamber ensembles, performing at the world’s most prestigious concert halls and recording six award- winning CDs. 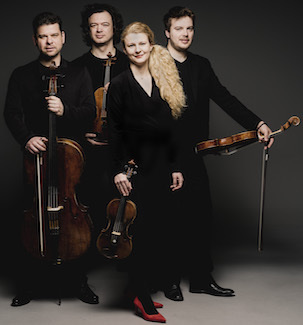 Based in Prague, the quartet studied with Milan Skampa, the legendary violist of the Smetana Quartet, and still enjoy a close relationship with him.